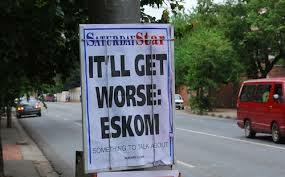 Load shedding, power outage call it what you like, its become even worse south Africa can expect all power to be switched off three times today. All of this strife is due to government lack if planning, incompetence, greed and corruption in so many areas of governance. If an election were held today I’m sure the good people of South Africa would show their displeasure at the ballot box. The looming local government election will show this displeasure me thinks. Eskom’s mandate remains to provide electricity in an efficient and sustainable manner, including the generation, transmission and distribution of electricity, the latter including wholesale and retail sales. 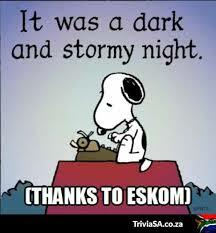 Eskom’s purpose is to provide sustainable electricity solutions to grow the economy and improve the quality of life of the people in South Africa and the region. Three strategic imperatives set objectives for a firm foundation on which a further five strategic directional-and-growth imperatives stand. The foundational imperatives aim to support growth by focusing on our financial health, company transformation and driving a high performance culture. 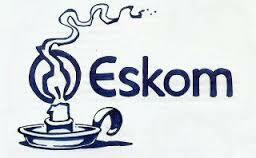 As can be seen from the above, Eskom has failed completely, what can be done one askes? Use ones given right at the ballot box if the government remains in the state of intransigence and denial spending our money on bribes and filling tendepreneurs deep pockets. I am pissed off and I hope my fellow South African are too, its time for change. Nuff said, got to calm down, and get myself a cuppa to relax. Nigel Slee’s photos capture the three bands who had been selected to play for this year’s annual Jazz Migration showcase, on December 2nd 2014, organized by AJC (Association Jazzé Croisé) description/objectives), as part of its annual meeting at La Dynamo in Pantin in the Paris suburbs. 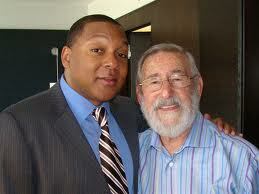 Don Albert with Wynton Marsalis. The excitement of a super saxophone section, or a brass section with a master first trumpeter; of course there must be a sympathetic rhythm section that can drive the band to great heights or nudge them into playing pretty ballads as well. All this led me to go to Kaleidoscope to hear the Rodrick Conolly Big Band filled with young players and steadied by some matured big band veterans. Conolly counts the band in and eventually seats himself at the piano. Before the coda he takes centre stage to cut the band off. I like good arrangements and this band has many, for example Sammy Nestico’s “The Heat is On”, Pat Williams’ “In The Still Of The Night” and Billy May’s “Walking My Baby Back Home”. The band is well rehearsed and it was wonderful to see two of my old friends in the trombone section Roger De Smet and Clive Sharrock. 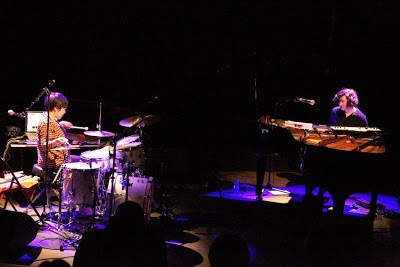 I was surprised by the high note playing of lead trumpeter Jo Kunnuji and the contrasting cool solos from trumpeter Robin Fassie Kock, both were very impressive. Other solos came from alto saxman Joel Benjamin and tenor player Didier Richards plus there were some nice drum fills from Frank Forbay. Mention must be made of the band’s vocalist Warren Venter, who two years back was singing in a rock band, I’m pleased to say despite his cross over to the big band scene and a new repertoire of standards, he has not surrendered to the clone approach to the Frank Sinatra or Nat “King Cole songbooks. He’s a very good singer who is an asset to the band. No histrionics just a plain big band swing vocalist. All in all a very pleasant night of evergreens like “I’ve Got You Under My Skin”, “Where or When” as a bossa nova, to “I Could Write A Book” as well as “Our Love Is Here to Stay” and a swinging “On The Street Where You Live” and a funky “Street Life”. My only disappointment was the audience. Or should I say lack of one? In Johannesburg this band would be a sell-out. Wake up Cape Town. You’ve seen the mountain, spent the day on the beach, drunk the wine and marvelled at the flora in Kirstenbosch, now it’s time to give your ears an opportunity to listen to some terrific music. Don Albert is a saxophonist and jazz journalist. He spent 12 years with The Star Newspaper on the Tonight! section writing about jazz. Currently he writes jazz CD and book reviews for Financial Mail and is the South African Correspondent for Downbeat (USA) and Jazz Journal International (UK). 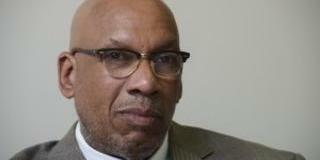 He has presented radio programmes on jazz and served awards.as judge at prestigious competitions. He has also won numerous awards. 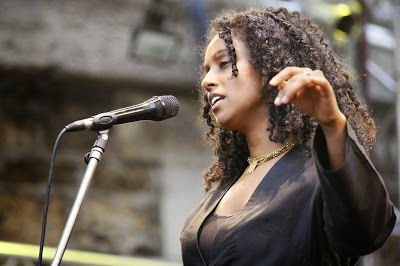 Born in London, Susheela Raman‘s work unites and draws strength from her South Indian Tamil roots and the ‘western’ culture that she grew up with after her parents moved to London in the Sixties. She has released a string of critically acclaimed albums since since her Mercury shortlisted 2001 debut ‘Salt Rain’. She is appearing at Turner Sims tonight 5th December. It was the Pakistan of the late 50s. 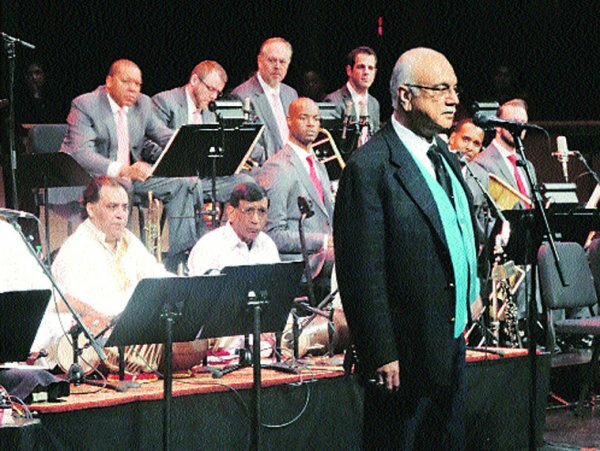 The new nation was grappling with the problems of Partition when Dave Brubeck, the legendary American jazz musician, arrived for a concert. In the days that followed, corner shops and paan stalls played a strangely familiar blues scale, with its lingering quintuple beat. “For us, it was such a lovely composition in raag Dhaani,” says Najeeb Ali about Brubeck’s Take Five, a composition known to be one of the best jazz singles of all times. At this year’s NH7 Weekender in Delhi, Lahore-based Sachal Jazz Ensemble came together to play this piece on sitar, violins and tabla. Brubeck had called it “the most interesting and different recording of Take Five” he had ever heard. “The two systems of music are so similar that one can easily improvise. Also, Hindustani music is so complex and the training of this system is so intense that understanding jazz chord progressions isn’t very difficult for us,” says Ali, one of the members of the ensemble, which was on its first trip to India. Music was an indulgence in Pakistan of the 80s, after General Zia-ul-Haq came down on it hard, calling it “haraam”. This was the time when many musicians in the film industry took up odd jobs. It’s from this group of tea stall owners and vegetable vendors that businessman Izzat Majeed found his musicians. They came together in 2002 as a group to represent Pakistan internationally. Majeed built the Sachal Studio in Lahore with help from Abbey Road Studios in London. Since then, the orchestra, which plays jazz standards and Bossa nova, has travelled around the world, playing at some of the most prestigious venues including The Lincoln Center in New York. “If you notice, one takes a lot of odd notes in jazz while playing those standards. In our case, even the odd notes are used with a lot of care, after due consideration of the ragas. 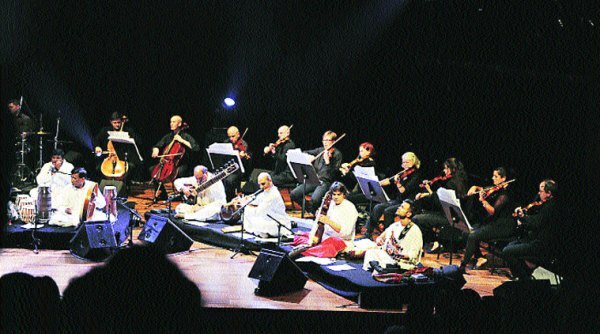 It is this unique quality of Sachal that has made it so special among the western audiences,” says flautist Zakir Abbas. After their India tour, the ensemble will tour Canada and the US. Add another dimension to Jenkins’ local jazz credentials—he’s been named the new Artistic Director for the DC Jazz Festival beginning with its eleventh iteration in 2015, the DCJF announced today. Jenkins succeeds festival founder Charlie Fishman, who held the artistic directorship for DCJF’s first 10 years. Obviously, there’s no way to know yet what Jenkins’ vision and direction for the festival will be. (Washington City Paper will speak to him about it once he’s officially installed in the position after the New Year.) But it’s an interesting turning point for the festival—and with the replacement of its founder, a curious one. Fishman leaves quite a legacy to contend with, having turned an event that began as four days in a dozen venues into a week of more than 125 performances at more than 60 venues, attracting audiences from across the world. By any measure, it’s a remarkable accomplishment. All the same, in this tenth anniversary year, some staleness started to peek through. So, too, did some discontent from local musicians. A recharge was needed—and apparently someone involved with the DCJF thought so too. So by any objective measure, it’s a big “we’ll see.” But there’s no reason not to be hopeful for the festival’s future. Jazz picks: Vijay Iyer, Brad Mehldau with the Bad Plus and more By CHRIS BARTON contact the reporter Los Angeles Times | Comment? Jazz pianist Vijay Iyer offers two more sides of his musical personality at UCLA this weekend. One of the most inventive and exciting jazz pianists working today, 2013 MacArthur Grant winner Vijay Iyer continues to redraw the boundaries of jazz while incorporating influences that stretch from Billy Strayhorn to L.A. beat alchemist Flying Lotus. A selection of jazz and jazz-adjacent shows coming this weekend.